How Do I Know I Have A Cavity? - Adelberg Montalvan Pediatric Dental PC & Orthodontics too! Cavities are technically decayed areas of the teeth. This is an extremely common dental health problem, and if a cavity is not treated it can cause pain, infection, or even loss of the tooth. There are various symptoms of a cavity, here are the most common to watch out for. If/when you have a cavity, pain in the tooth during chewing, biting, or other daily actions can occur. 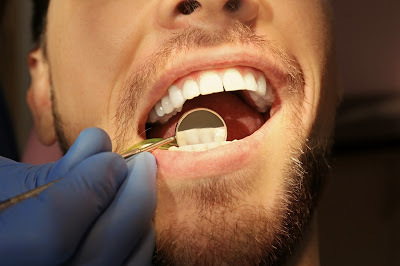 This usually arises when a cavity has been left untreated. When examining your mouth, you might notice a darker spot on the tooth. If this is visible, this means the tooth has decayed through the enamel. You don’t want this to happen. If a cavity is infected, this can create a bad smell and taste in your mouth. As with any infection, there can be an unpleasant odor and it definitely needs to be examined. This doesn’t always mean you have a cavity, but in most cases when you eat or drink something cold or hot and a tooth is sensitive, it’s decaying. Come in and see us just in case! If you notice these symptoms or anything worse, contact us immediately. Cavities are not something to mess around with and can become dangerous to your overall health. Contact us today for more information!